We are a local Seattle Plumbing/Heating/Air Conditioning Service company located in Magnolia near the Ballard Bridge. The Internet is the primary way that homeowners find a Home Repair Services. We are dedicated plumbers and HVAC guys with the aim to providing expert professional plumbing, heating, radiant, and air conditioning service at a competitive price. We are an established traditional service and repair company that has decades of history providing certified plumbers and HVAC technicians. Only skilled mechanics work here. If you call us for service, you can trust that anything we tell you is knowledgeable and that we have your needs in mind. Evan has been in the trade for over 40 years. Plumber rate by the hour or by the job - it is up to you. There are advantages and disadvantages both ways. Call Evan to discuss labor rates. For your own peace of mind, trust Evan Conklin Plumbing Heating and AC Services for all your mechanical repair needs. 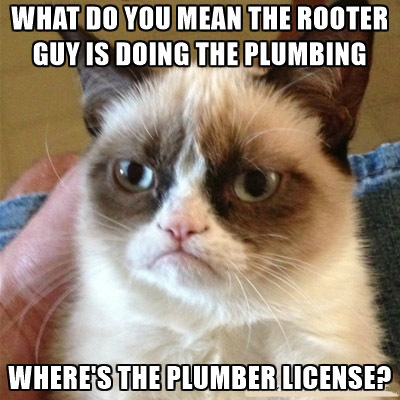 Have you noticed that virtually every rooter company is now promoting themselves as a plumbing company here in Seattle? 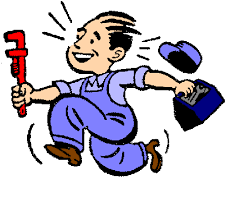 Don’t risk your time and money - Get the job done right, Call Us. Call Evan today and experience the difference for yourself. (Real plumbers are not as costly as commissioned salesmen!). Our quality workmanship is covered unconditionally for a full year plus any applicable manufacturers' warranties. We work by the hour or by the job - it is your choice. No commissioned salesmen work here.